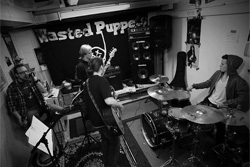 While their name may be a little corny, here's Wasted Puppets, a fresh band from Finland reviving classic melodic hard rock. They draw inspiration from peers like Zeppelin, Hendrix, Purple, GnR, Kiss, and Whitesnake without sounding like any of them. They offer you a taste of their music on the short three song EP Beg For More. 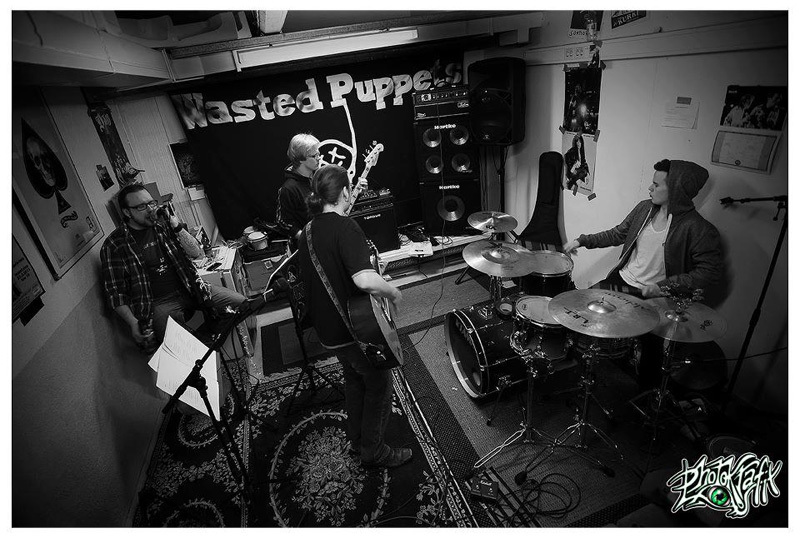 Wasted Puppets:: in their happy place. Essentially, these three songs are unpretentious groove driven hard rock. They work from a steady, toe-tapping, rhythm section, strong melody and vocal harmony, and some spirited guitar solos. Anssi Tuomikoski's vocals are combination of clarity, passion, and slight rock raspiness. The title cut is straight forward rock. Doghouse, at the start, steals from riffs from Golden Earring's Radar Love, but then turns it into a slow burner. Roadkill adds some acoustic guitar to the mix for another up tempo rocker with a thrilling guitar solo. While I consider the first and last the strongest tracks, all the songs prove that Wasted Puppets have some talent and creativity, and therefore some immense promise. Though I don't know if I want to beg for more, I certainly want to hear more (they should have had at least two more tracks on this EP) from this promising band in the future. Recommended. 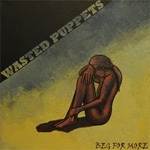 Wasted Puppets's short three song EP, Beg For More delivers some classic melodic hard rock, showing talent, creativity, and promise.